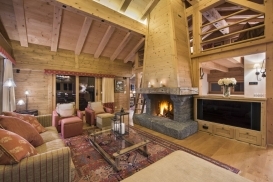 Luxury 4 Bedroom 4 bathroom Verbier chalet with hot tub, log fire and amazing views. 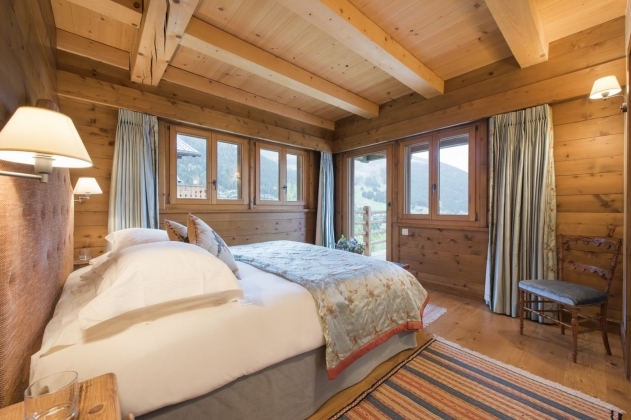 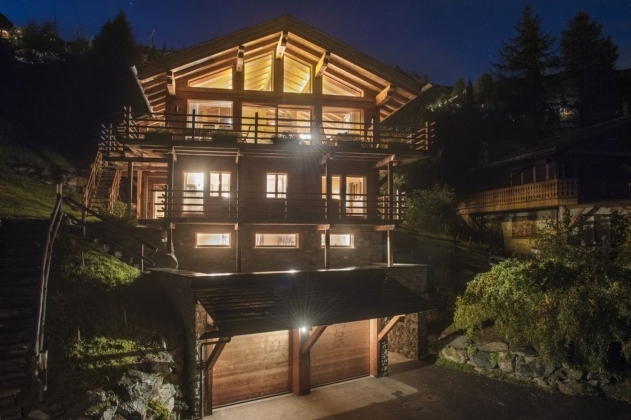 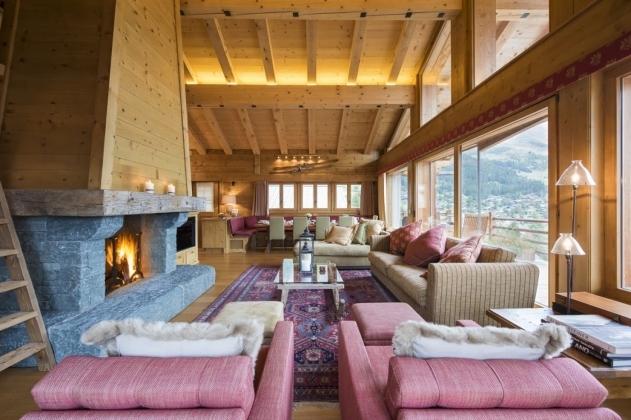 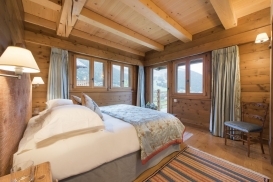 This is a beautiful four-bedroom luxury chalet in Verbier. 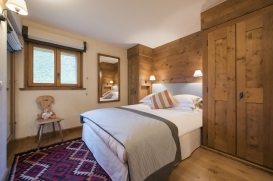 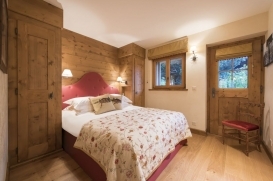 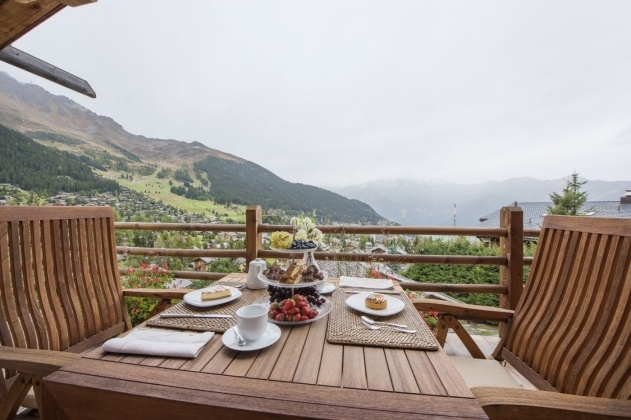 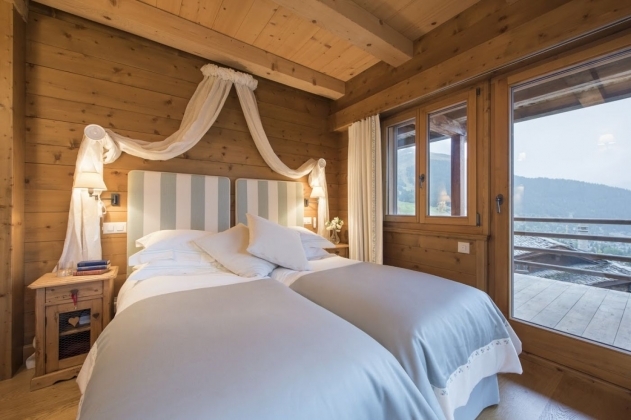 Ideally located on the south facing Savoleyres side, the chalet has sublime views encompassing the village below, the pistes of Verbier and the imposing Mont Blanc massif. You enter the chalet into a spacious hallway which links the private garage, pantry and ski room. 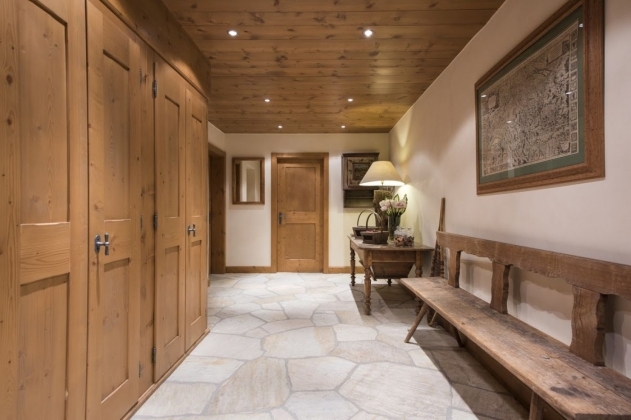 This floor is equipped with large closets providing plenty of space for all your ski wear, ski’s and boots. 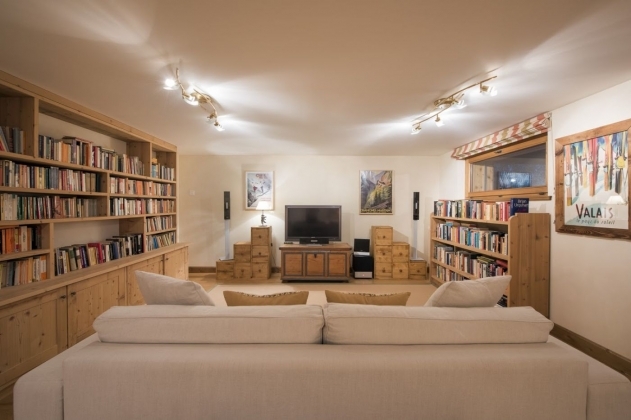 The first flight of stairs leads you up to the games and entertainment room. 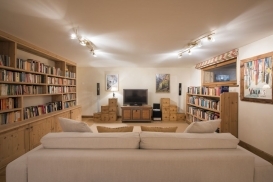 Here you will find an extensive collection of books and movies, the perfect way to relax and unwind at the end of the day. 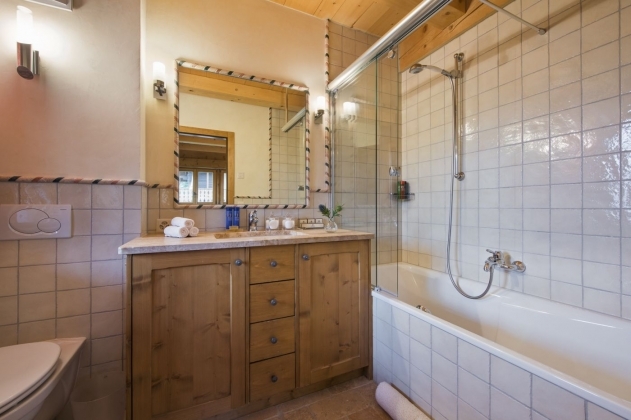 For those wanting to soothe aching muscles sink, the indoor hot tub is also on the first floor. All of the bedrooms are located on the dedicated sleeping floor. 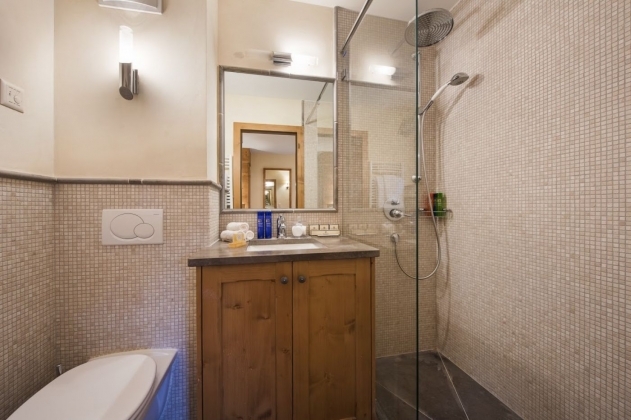 They are all extremely spacious, have en-suite bathrooms or shower rooms and access to either a terrace or balcony. 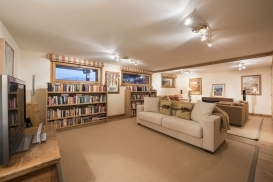 Entertaining and socialising happens on the top floor. 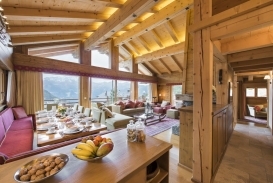 The staircase opens out into the large open plan living and dining area. Large sofas, a day bed and sumptuous armchairs surround the grand stone fireplace whilst a discreetly placed TV is also a feature. 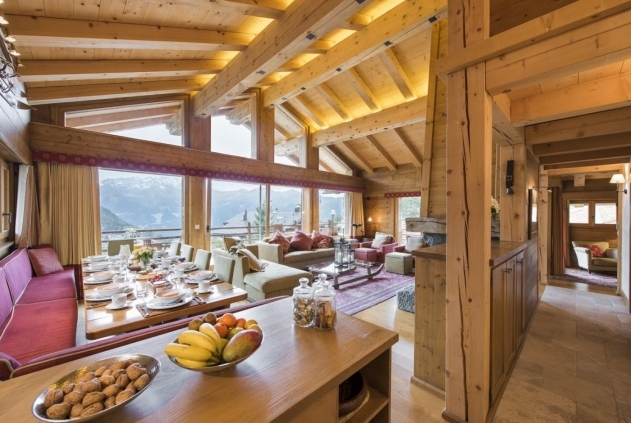 Double height ceilings offer generous natural lighting and breathtaking views over Verbier. 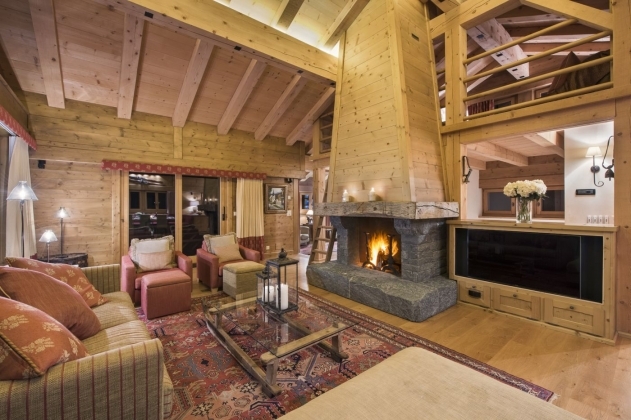 In the evening, whilst the lights of Verbier glisten in the distance, guests can enjoy an aperitif in front of the roaring fire before sitting down to a candlelit dinner. The dining table can sit 10 people comfortably and is separated from the well-equipped kitchen by a breakfast bar. 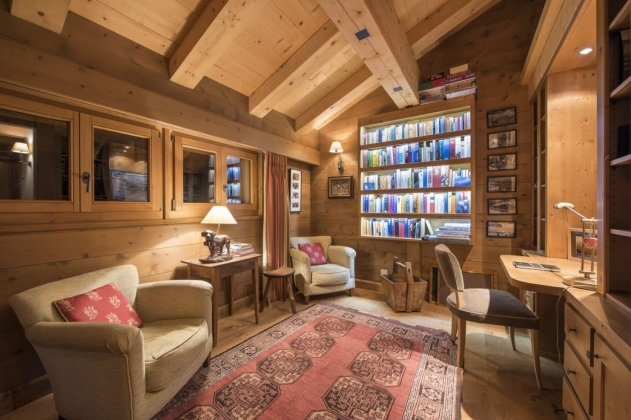 For those wishing to catch up on some work, there is a quiet office also on this floor, and if the kids want to have their own space there is a mezzanine chill out area in the eaves of the roof. 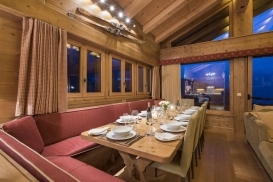 The chalet normally comes with a 24-hour driving service when the chalet is sold on a fully catered basis. 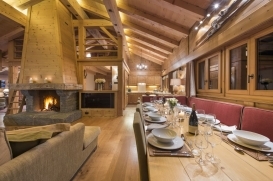 The chalet is available on a catered or self-catered basis. 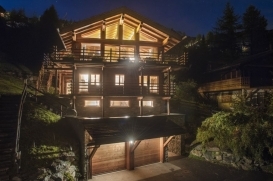 The chalet is located in Savoleyres.